Members of the class of 1926. Photo taken their sophomore year 1922-1923. Front row (L to R): Mattie Blume, Mary Frances McEachern, Mae Herrin, Brown Penninger, Annie Morrison, Zelma Safrit. 2nd Row: Exella Stallings, Pearl Herrin, Elizabeth Hedrick, Alma tucker, Pauline Earnhardt. 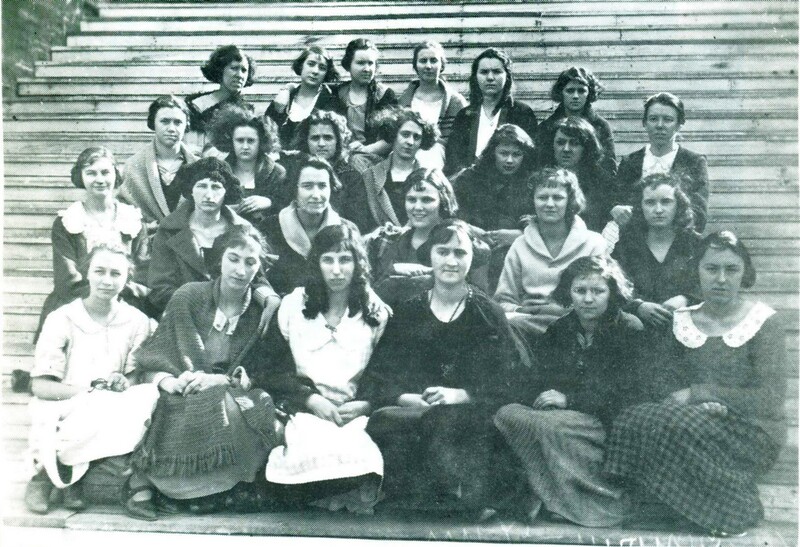 3rd Row: Estelle Efird, Faye Kluttz, Ella Petrea, Frances Dellinger, Salome Shirey, Elizabeth Bright, Ola Cline. 4th Row: Ophelia Litaker, Mary Lee Seaford, Maude Bost, Pearl Ross, Ethel Barnhardt, Mabel Morrison. Photo courtesy of Mae Herrin Perry/George R. Hahn, Eastern Cabarrus History, (1986). Not that you won or lost, but how you played the game.